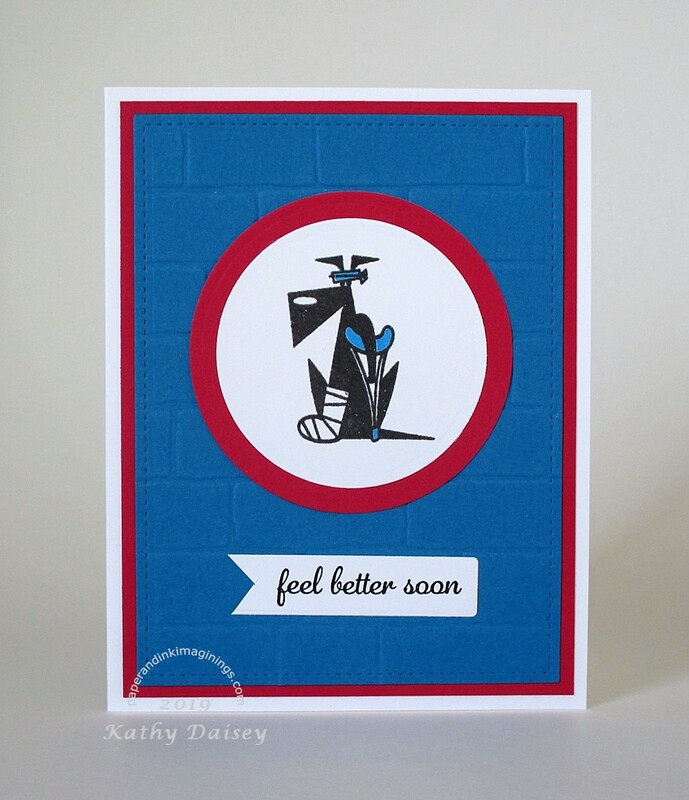 This card is related to a previously mentioned conversation with Cousin Pati. The two larger buttons were purchased as crafting accessories. The smallest button came from a blouse I owned back in my Software Engineer/Mathematician days. The stems were all cut with the same die, and I embossed them with an embossing folder. Then, I trimmed them by hand to make them unique. This cannot be sent through the mail in a regular envelope. 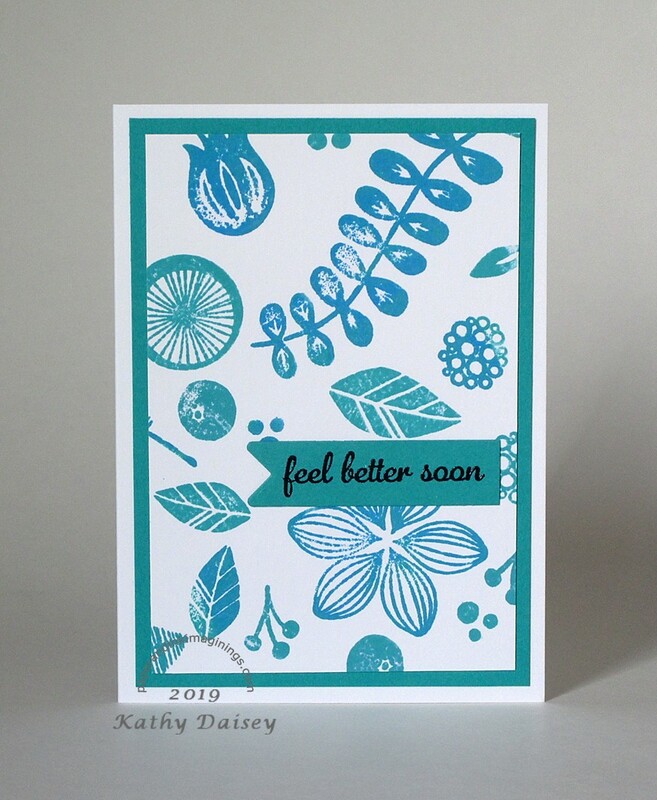 Supplies: Stamp – Simon Says Stamp, paper – Neenah Classic Crest Solar White, PopTone Razzle Berry, Stampin’ Up! Old Olive, Pear Pizzazz, Pink Pirouette (retired), Soft Sky (retired), Wild Wasabi (retired), ink – VersaFine Onyx Black, dies – Papertrey Ink (stems), Provo Craft (flowers), buttons – Stampin’ Up!, dark pink – source unknown, embossing folder – Provo Craft, embossing powder – Stampendous Detail clear. 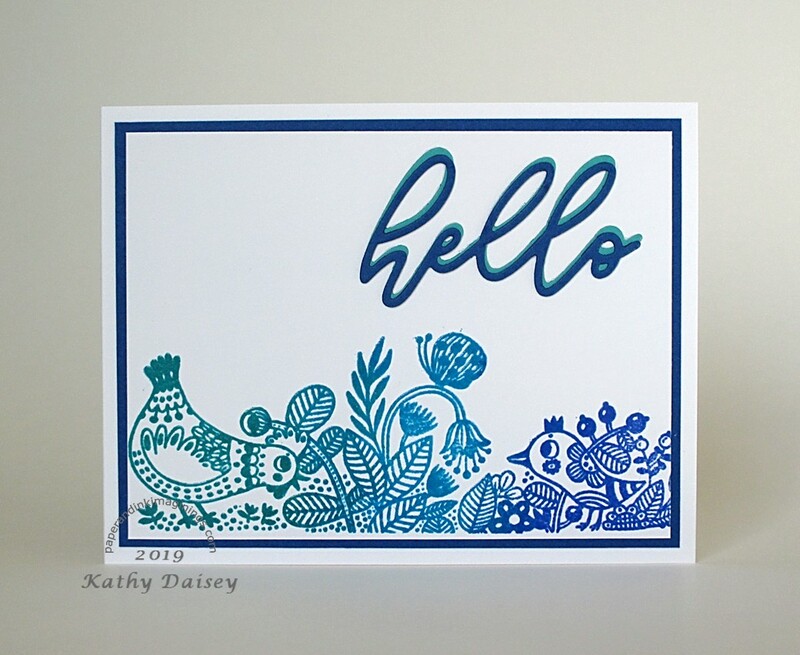 Categories: card, encouragement | Tags: card, Neenah, Papertrey Ink, Poptone, Provo Craft, Simon Says Stamp, Stampin' Up!, Tsukineko, VersaFine | Permalink. 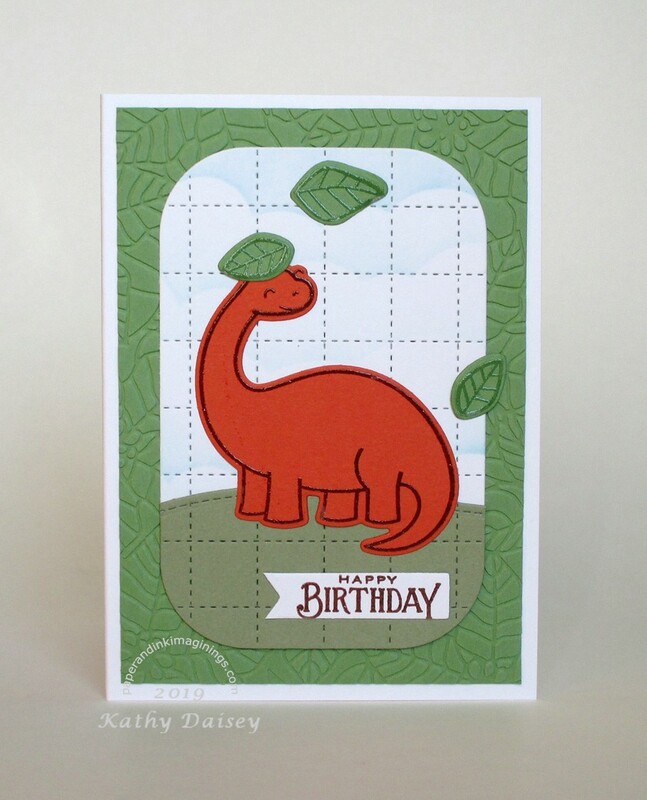 I had a few extra pieces left from yesterday’s card (dinosaur, cloud blended sky), and needed an easy card to mail for personal use. Supplies: Stamps – Lawn Fawn, Papertrey Ink, paper – Neenah Classic Crest Solar White, Stampin’ Up! Mellow Moss (retired), Tangerine Tango (retired), Wild Wasabi, inks – Tim Holtz/Ranger Tumbled Glass, VersaFine Vintage Sepia, VersaMark, dies – Lawn Fawn (dinosaur, hillside, leaves), Reverse Confetti (quilted tag), Simon Says Stamp (banner), embossing folder – Taylored Expressions, embossing powder – Stampendous Detail clear. Categories: birthday, card | Tags: card, Lawn Fawn, My Favorite Things, Neenah, Papertrey Ink, Ranger, Reverse Confetti, Simon Says Stamp, Stampendous, Stampin' Up!, Taylored Expressions, Tim Holtz, Tsukineko, VersaFine, VersaMark | Permalink.